When any vehicle, including your Nissan truck, gets on in years, you will find that the maintenance bills will increase as each year passes. You will have to sell it eventually, as these bills will start draining your bank account of more money than the value of a replacement Nissan truck. At this point, your best bet is to drop Nissan Truck Wreckers Brisbane team, a line here at QLD Wreckers, Brisbane’s number one auto wrecking company. If one is going to have a conversation about the best scrap truck wreckers in the industry, it is going to start and end with QLD Wreckers. 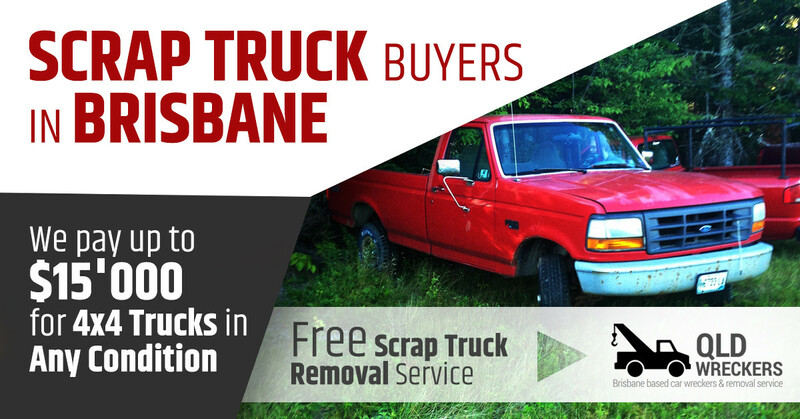 We provide the people of Qld with a way for them to be able to sell their car, Ute, truck, van, 4×4 or SUV after it has reached the last stage: the scrap stage. It is important to us that everyone has access to this service, as there is no other way to sell a scrap car this quickly. Do you have an automobile whose usefulness has come to an end? Call us up! The number to dial is 0416 615 100. We want all the Nissan truck owners of Brisbane to get top cash for their old and unwanted Nissan trucks. If your Nissan needs to be sold fast, if there is no way to sell it because it is the wrong model, this isn’t good enough. Buyers of Nissan UD Diesel Truck, Accept in Any Condition! It is easy to reach the conclusion that a scrap truck is monetarily worthless. If you can’t drive it anywhere and never will because it needs expensive repairs whose cost in higher than the value of a replacement, how can it be worth anything? That is the logic. However, we know how to extract value out of a scrap car no matter how bad of a state it is in. Which is why we will buy your vehicle even if it is a total wreck. After we have paid a good amount of cash for your car, we will not compromise your end of day takings by charging you for us to pick the car up and remove it from your property. Not only do we pay you the best deals, but we will ensure that you don’t have to give up any of that money just so you can have the car removed. We offer free truck pickup service across Queensland including Rocklea, Gold Coast, Sunshine Coast, Toowoomba, Ipswitch, Caboolture, Rockhampton and Warwick. We keep the Nissan UD & Diesel truck spare parts inventory as well. Feel free to make an inquiry for the required part. The most money for Nissan trucks is waiting for you. We pay up to $15’999 for scrap trucks, Lorries, Diesel Trucks, so get in touch with Nissan Truck Wreckers Brisbane team at Qld Wreckers now.